Working from home is quickly becoming the norm in America with close to half of employees telecommuting either part-time or fulltime. But whether you’re holding a job at a company or working for yourself, the practice of working from home can be challenging. But the books in this post can help you wade through the common struggles of managing your desk, keeping yourself focused, and avoiding the all-day pajamas donned by many home workers. You’ll never get much work done if you don’t have a solid organizational system. The Home Office Handbook can help you build that system and maintain it with daily routines that keep your workspace clean. This 150-page guide to home office upkeep is all about routine and systems. There isn’t one specific way to organize because each situation is different. But this book can help you find the method that works best for you and help you stick to it. Both physical and digital organization techniques are covered to help you maintain a clean filing cabinet and a clean computer system. These lessons also offer pointers for time management like handling emails, phone calls, and basically organizing your home life around work. If your goal is productivity then this book will help. But remember it’s only a book, so the true way to productivity is through your own effort. This super affordable and super short book can help you find a routine in your day-to-day life. 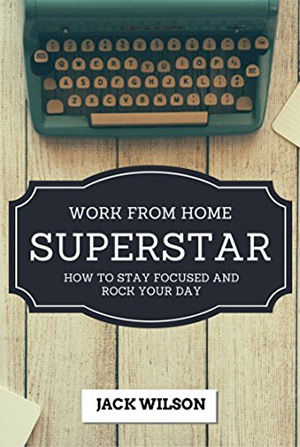 Work from Home Superstar is a brief guide on the troubles and distractions of working from home. Early chapters talk about common distractions people face when first working from home. Most people fall into these routines because they simply want more freedom, and after spending your whole life working or at school it’s kinda fun to spend all afternoon watching TV. But later chapters get into solutions for productivity and how you can schedule your work around timeframes. 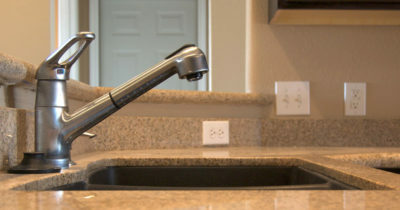 Each person’s schedule is different so how much time you allot to a certain task will vary. 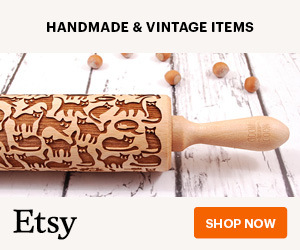 Yet these suggestions are incredibly valuable and very specific to anyone. If you want a short read that’ll get your mind in gear then this book is fantastic. Not everyone who works from home is employed by a company. There are waves of stay-at-home moms who take care of their children while also doing part-time work from the computer. 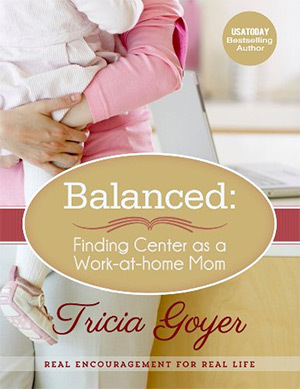 Balanced: Finding Center as a Work-at-Home Mom looks into the difficulties of raising children while trying to maintain a working schedule. This is never a simple task but it can be done. Tricia Goyer shares her experience and advice for new mothers in this candid book. Tricia not only worked from home while raising her kids, but she also homeschooled them! She’s definitely a mom who has some experience in this area of finding balance while working at home. What I like most about this book is how it empowers moms to take control of their own schedule. This isn’t a cookie-cutter inspirational book. Instead it’s like a plan your own adventure novel with productivity tips added along the way. When you don’t have a boss physically in your work space it can encourage less-than-productive behaviors. 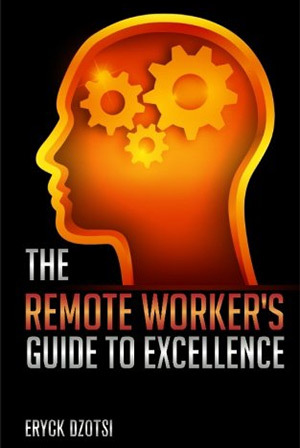 The Remote Worker’s Guide to Excellence is a short yet thorough book covering the habits of remote workers and how they can get the most from their day. 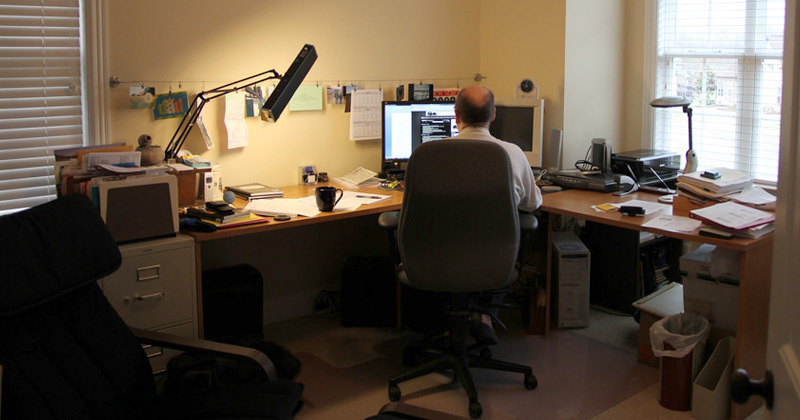 Many people prefer working from home because it offers freedom. Not everyone knows how to handle that freedom and it can lead to endless distractions. This guide promotes constant diligence and control over your behaviors. You’ll learn how to keep in touch with team members and keep those lines of dialogue open. You’ll also learn why work ethic is so important and how you should split your time during the day. Work/life balance is a tricky subject and there is no right answer. But this guide offers at least one perspective on the topic with lots of great advice for first-time telecommuters. 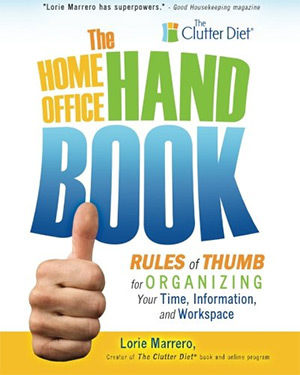 If you think your home office is a tad too cluttered then this book will prove immensely valuable. How to Declutter Your Home or Work Office to Improve Productivity is very short yet straightforward book about cleanliness. The author Sarah Adams writes from the perspective of any office space. You might be working from an apartment or you might have an entire room in your house dedicated to work. 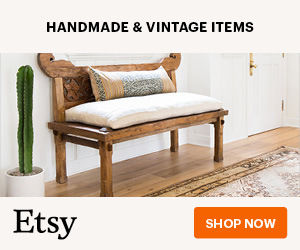 The end goal is still the same: a refreshing space where you can focus and get stuff done. 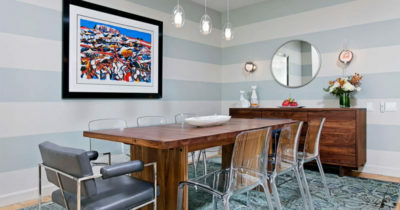 Everyone organizes their things differently but we all recognize clutter because it looks the same in every room. Once you recognize clutter and find where it belongs you’ll be able to keep a clean workspace with relative ease. Managing your deadlines, email, social, and home life can be a drag. If you’re looking for some advice or strategies to improve how you live then check out There’s No Place Like Working From Home. Elaine Quinn has 10+ years of experience coaching and mentoring self-employed business owners and remote workers. She knows what it takes to get the job done and how to stay on top of your behaviors. But you can’t always have Elaine watching and keeping you on track. This means you need to become your own boss and watch your every move. 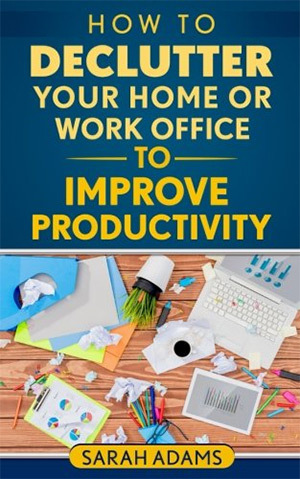 After reading this book you’ll have a much better idea of what this means and what you can do to improve your home office workflow. The best techniques in this book relate to personal lifestyle and dealing with isolation that usually sets in after enough hours. If you can find the right psychology you’ll have a much easier time working from home. Tim Ferriss has circulated through entrepreneurship communities for years and his books are some of the most well-known in the field. 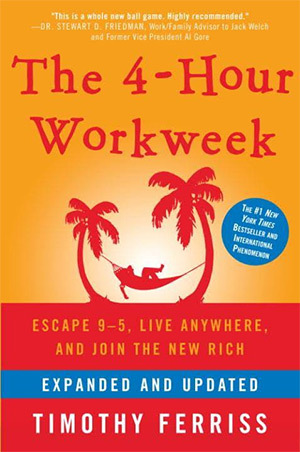 Typically people recommend The 4-Hour Workweek as a book to read to quit your job. However it’s not really about only working 4 hours a week. Instead it’s about working smart, building multiple income streams, and having a plan for your career objectives. Yes many books have been written about these exact topics. But there’s something about the way Tim writes that really catches my attention. If you’re already working from home or hoping to start then pick up a copy of this book. It’ll make you see the concept of revenue from a whole new perspective so you can take control of your work and your lifestyle. 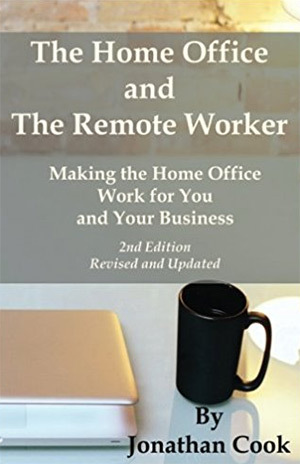 The Home Office and The Remote Worker is more of an intro book to the idea of working from home. This is a great read if you’re contemplating the move but don’t know what would be involved. Author Jonathan Cook has years of experience setting up home offices and designing lifestyles around working from home. In this newest edition of his book you’ll learn what remote working looks like and why it can be beneficial to a real office. He covers the tools, behaviors, and pros/cons of working from home that everyone should consider before making the leap. This mostly caters to people who want to understand how working from home translates into a daily schedule. I’d only recommend this if you’re on the fence or want to learn if telecommuting can work for you. All the money-making gurus talk about passive income but few talk about active income. This is the work you do regularly to earn money from your products or services. 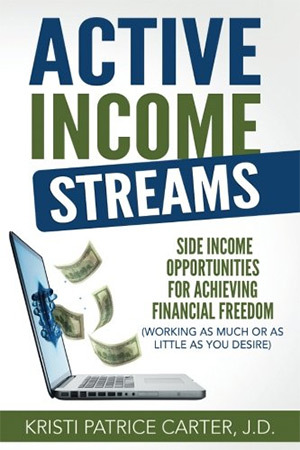 Active Income Streams covers all of this in great detail. Over 220 pages you’ll learn what active income streams are and how you can develop skills that earn active income. 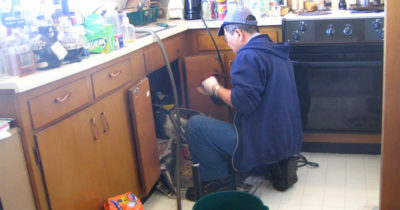 Most of these jobs can be done from home which makes them extra enticing. You’ll learn about active opportunities like writing, designing, marketing, and other similar ventures. All these jobs can be done as part-time work or full-time work from the comfort of your home office. All you need is a computer and some Internet to see the money rolling in! I absolutely recommend this book for stay-at-home moms or anyone who wants to start their career online. Everything in this book is practical and easy to implement if you make the time. Your environment always affects your productivity. Yes there is a psychological part to productivity where you control your own behaviors. But environment is always a factor. 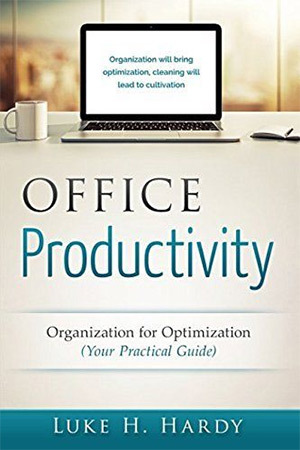 Office Productivity: Organization for Optimization is a short but sweet book covering the basics of productivity from a home office. You’ll learn techniques to keep your important papers & tools organized for a comfortable environment. 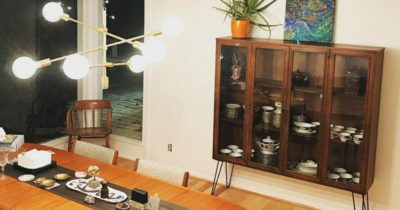 Other topics get into Feng Shui and decorating the room to keep plenty of space available. This is crucial if you want a roomy interior that feels nice and encourages a focused work effort. You will not find everything you need from this one book. 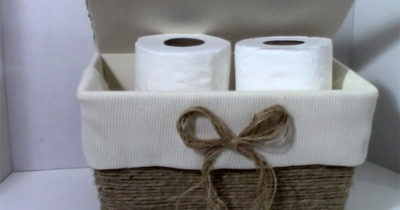 And even though it’s pretty short it also has some great decorating tips. 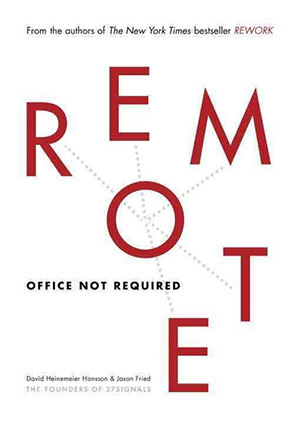 Remote: Office Not Required is a brilliant book from the founders of 37signals. It covers the increasing trend of working from home and the typical challenges faced by people who pick up this kind of work. As more people look for flexible work options this work from home attitude is becoming much more prevalent. By reading through this book you’ll get a newfound perspective on working from home and what it offers beyond the typical 9-5 daily commute. You’ll find tips for collaboration, scheduling meetings, and sharing ideas even when you can’t meet face to face. This book also has tips for keeping on top of your budget and your time, two things you can easily lose track of while working from home. 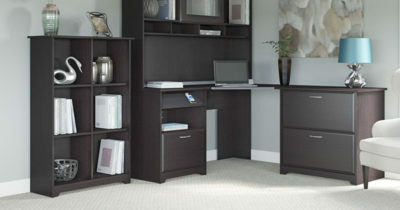 The loose at-home feeling can seep into your home office which can make detailed tasks feel rather mundane. 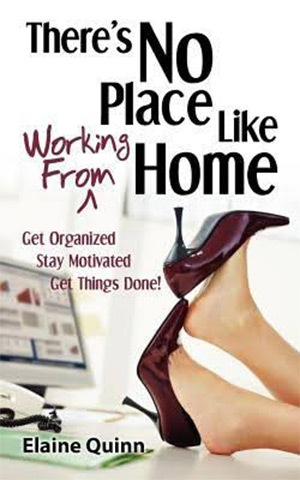 But this book will help you keep the right mindset of working from home no matter what type of work you do. The vast majority of work-from-home tasks are done on a computer. 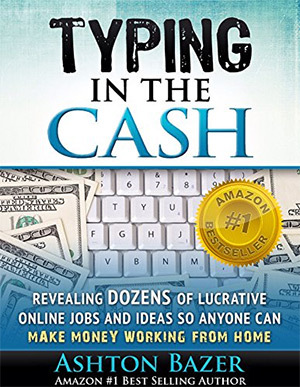 That’s why Typing In The Cash can be such a valuable read for anyone new to the world of making money online. It doesn’t matter why you need money or how much you need. This book can provide realistic solutions you can follow to build an income stream through your computer. However the biggest downside here is not enough detail because it’s a damn short book. With only 30 pages there isn’t much room left for detailed write-ups. But this guide can be a nice intro to earning money online if you want a budget read to gather some quick ideas. If you already have a home business and it’s not growing much then you’ll need to pump some new life into it. 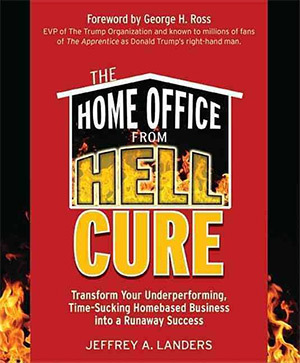 The Home Office From Hell Cure is the ultimate bootcamp for revamping your home business from the ground-up. Author Jeffrey Landers lays out a 100-day process you can follow to revitalize your business and your mindset. Keeping your business profitable isn’t easy, but the solutions are often right in front of your face. After reading through this book you’ll learn to question your behaviors, your work/life balance, and what sort of goals you want to achieve with your work. This really can be a book made for any home business whether you sell birdhouses or Photoshop designs. I also think this can be a fun read for anyone starting a home business because it frames what stagnation looks like. Once you understand why businesses stagnate you’ll learn how to avoid that at all costs. It’s not all that hard to work from home in your own office. The toughest part is staying productive and keeping yourself on task as often as possible. 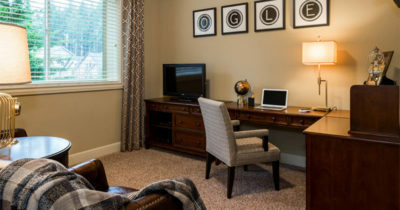 Working from a Home Office Successfully offers a short read into the details of home office work. To actually get things done you’ll need focus and perseverance. But you’ll also need an organizational system that makes your workload easier to complete. Author Cecelia Jernegan has over two decades of experience helping others fix their work/life balance and find productivity in their day. Sometimes it takes a 3rd party to look at your schedule and find those gaps in productivity. But if you don’t have a 3rd party then you can do this yourself, and Cecelia’s book is sure to help with that task. Fielding calls, scheduling Skype meetings, and planning your daily schedule can be tough if you never leave your house. It’s always tempting to stay in your pajamas all day and binge Netflix ‘till supper. But working from home requires tenacity and Out of Office looks into the rigid details of what you need to succeed. These lessons are really made for people who plan to work from home or are brand new to the task. If you’ve already been doing it for a while this book may offer some creative ideas, but it’ll mostly outline a process you already know all too well. Perhaps the most valuable chapters are those covering work/life balance and finding a way to split your time between work and actually living life. 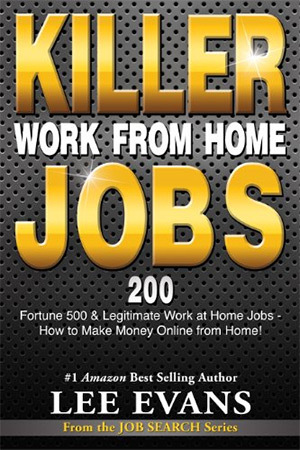 If you want to work from home and give it some real effort then this book is a must read. Many people who choose to work from home prefer to work for themselves and do client jobs. Working for Yourself is a complete guide on how to start your own at-home business and make it grow. 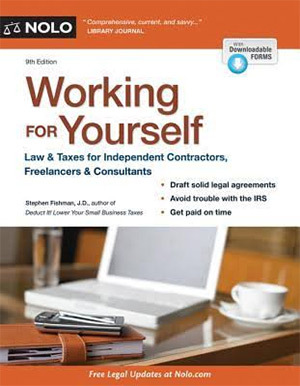 This guide tackles absolutely everything from legal contracts to paying your own taxes. It’s absolutely massive with over 550 pages teeming with solid info. It’s always good to hire a CPA or a lawyer to help with more technical details. 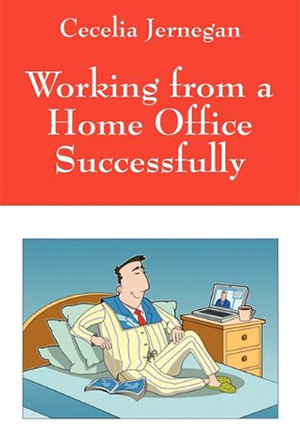 But this book can help you get started and offer some education on the process of working from home. Note this book is made solely for people who want to work for themselves either in client work or selling products from home. 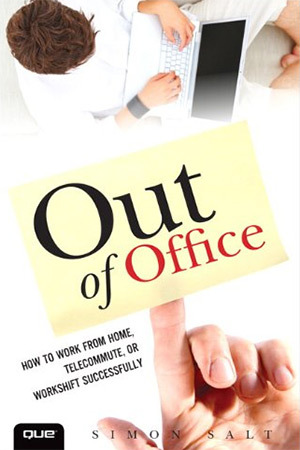 If you work for another company but telecommute from home then this book won’t be much help to you. A nice companion guide to the previous book Working For Yourself is Killer Work from Home Jobs. This guide looks into the process of earning money from home and what you can do to earn that money. There’s so much opportunity on the Internet and you should try to get your slice of the pie. Too many people veer off into various directions and they never really settle on one goal. But after reading this guide you’ll have a solid roadmap of what you can do and what might best fit your goals. You’ll also learn how to setup a plan to take you from your current job to a successful home-run operation. Everyone moves at different paces and this book can help you move with greater focus to reach your goals a whole lot faster. Working for yourself and earning money from home may seem like a pipe dream. But more and more people are learning to do it every day through the magic of the Internet. 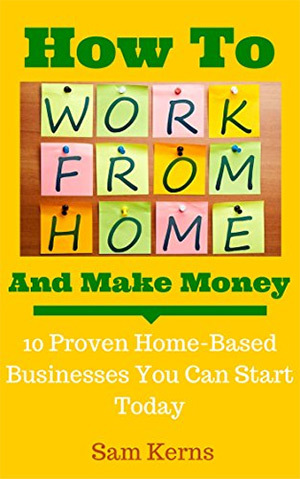 How to Work From Home and Make Money is your definitive guide to earning a living from the comfort of your home office. The author Sam Kerns has spent over 20 years working for himself and has earned a great living along the way. In this book you’ll learn how to get started and how to build a routine around your work. I’d say this book is one part “work from home” and one part work for yourself. These topics are closely related but learning to work from home brings in a whole new set of challenges than simply running your own business. Sam walks you through solutions and telecommuting secrets that’ll help you get through each day with a productive smile on your face. And he shares a few pointers for building multiple income streams so you can live a much more flexible lifestyle. From blogging to marketing, designing, digital art or anything else, working online is quickly becoming the norm rather than the exception. 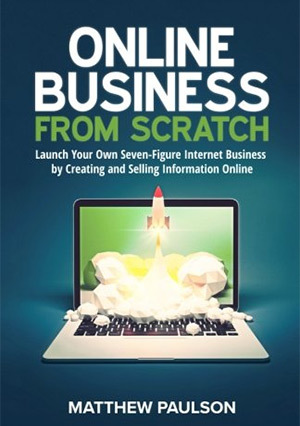 Online Business from Scratch is the newest book in this whole post spanning 230+ pages of advice for making money online. Your goal should be to find something you love to do and offer value to the point where people will pay you for the work. Through this book you’ll learn how to choose a niche or market to target, how to launch your own website, and how to build an audience around your brand. The biggest pitfall is that people simply don’t market themselves enough. Nobody will find you unless you get your work out there. Once you have an audience you should try a 50/50 split of sharing free information while also pushing your services or products. This technique has been used time & again to great success. And if you want a clear blueprint to follow then this book covers absolutely everything you’ll need to know. This isn’t a book on working from home but it is a staple I think every home worker should read. 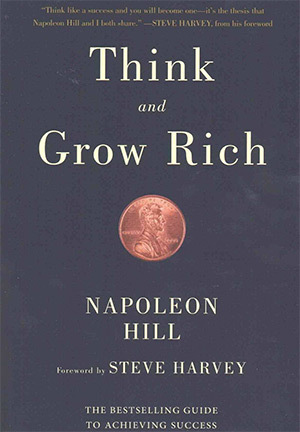 Napoleon Hill’s Think and Grow Rich is perhaps the best guide to understand the psychology of people who earn money and offer real value to the world. If you’re working from home then you’re probably looking for either a) more money, b) more freedom, or perhaps a mix of both. This book will force you to consider how you think on a day-to-day basis. This in turn can change how you behave and affect your workflow. Understanding yourself is a crucial step to building a business and being your own boss. Napoleon Hill’s book was a big inspiration for The Secret, except Hill’s work is a lot more thorough and practical compared to the inspirational tripe you find in The Secret(movie or book). And while this may read like an inspirational book, I still think it’s a practical resource for anyone diving into the world of working for themselves and taking charge of their own finances. But all the books in this post really are great and they all bring something unique to the table. Take another look over this list to see which titles stand out and which books you want to help improve your work-from-home lifestyle.